Browse -- Suppliers | Products | Trade Leads - BUY | SELL Find buyers or sellers? 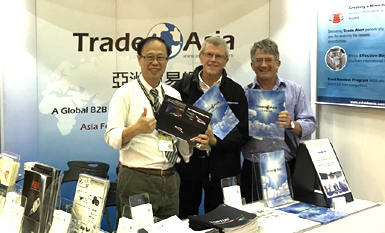 TradeAsia participates in many international exhibitions on behalf of our paid members. We help display product catalogs and related information of our members in major exhibitions in relevant industries to collect information of foreign buyers.